2 Slc. 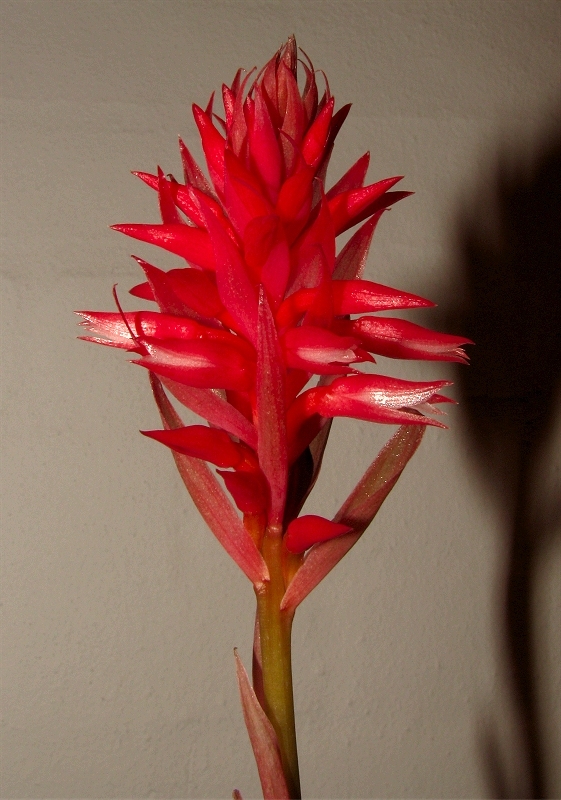 Kagaribi Dawn 'Red Star', Jette. 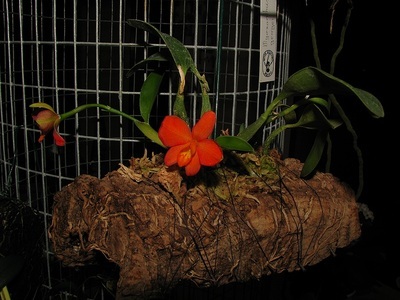 4 Disa Kewensis Ruth, Jan.
4 Renanthopsis Mildred Jameson 'Bonsall' HCC AOS, (Renanthera monachica x Phalaenopsis stuartiana), Birgit. 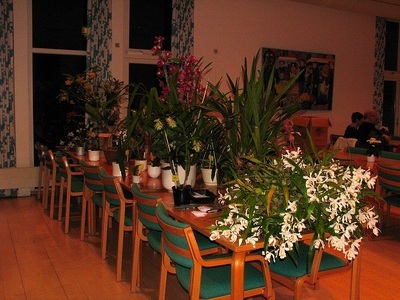 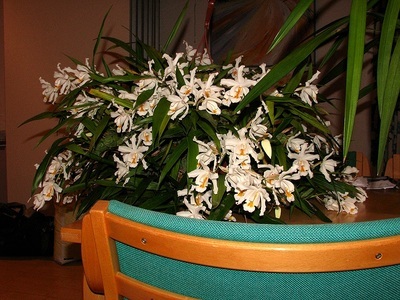 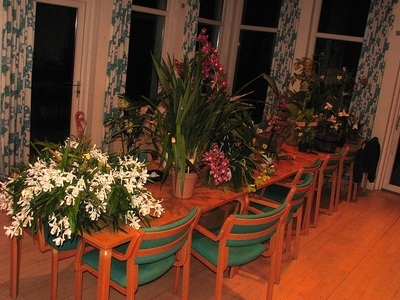 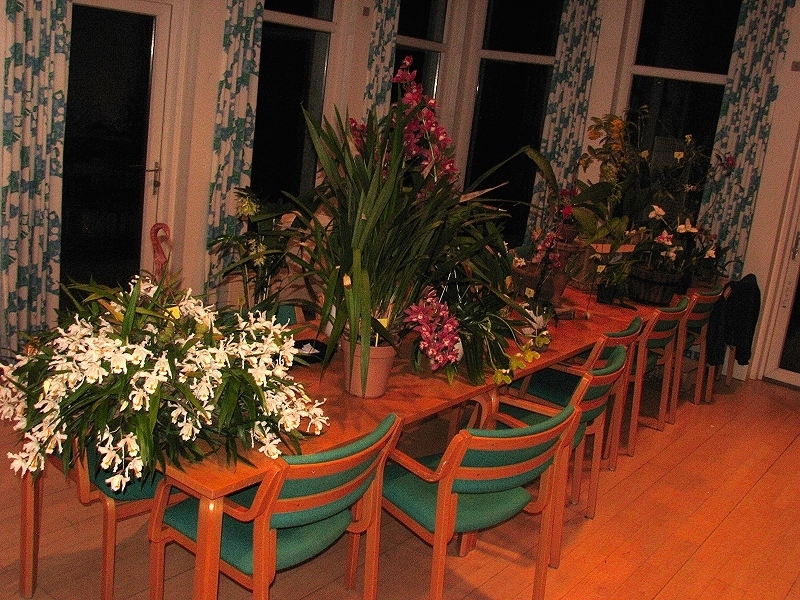 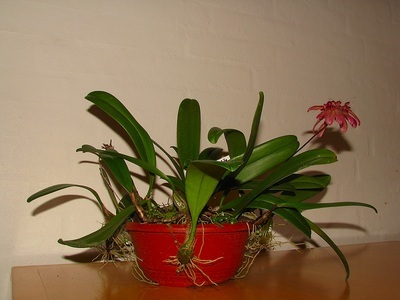 Først et par underbelyste billeder af vores medbragte planter. 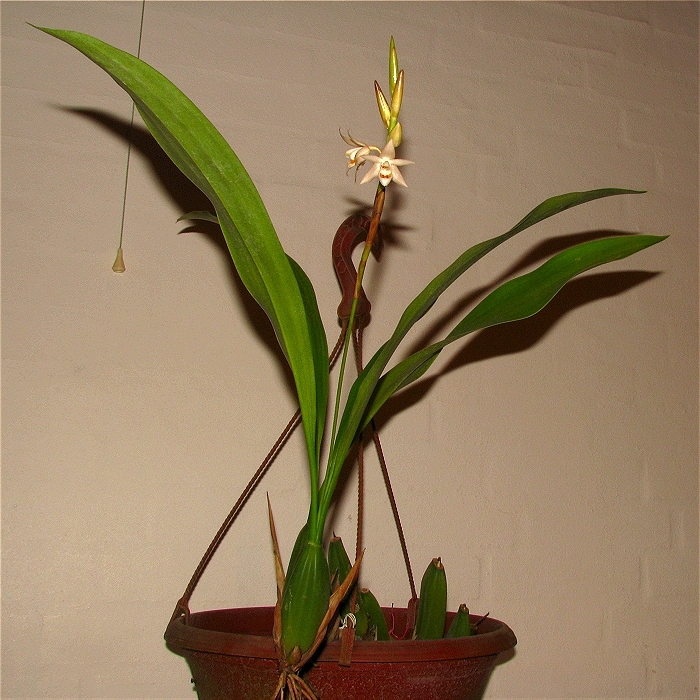 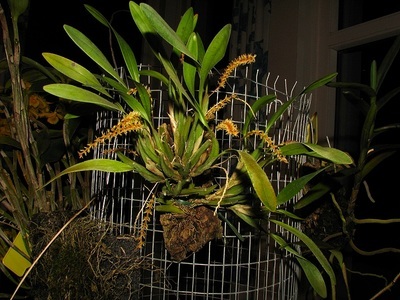 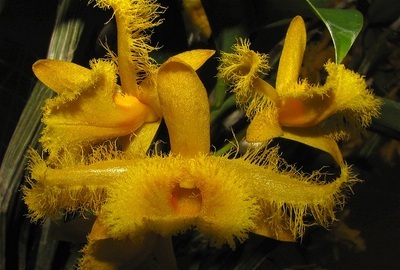 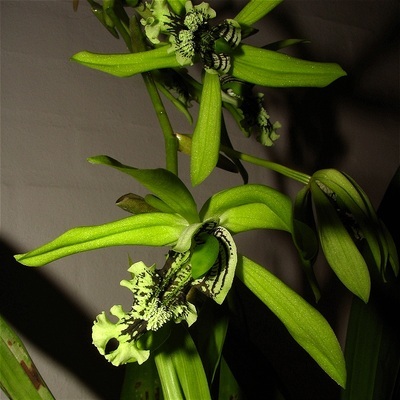 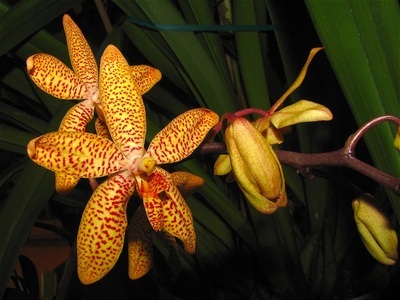 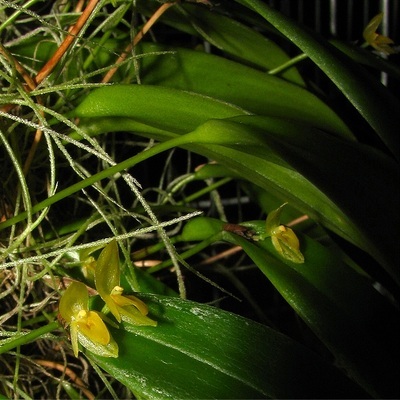 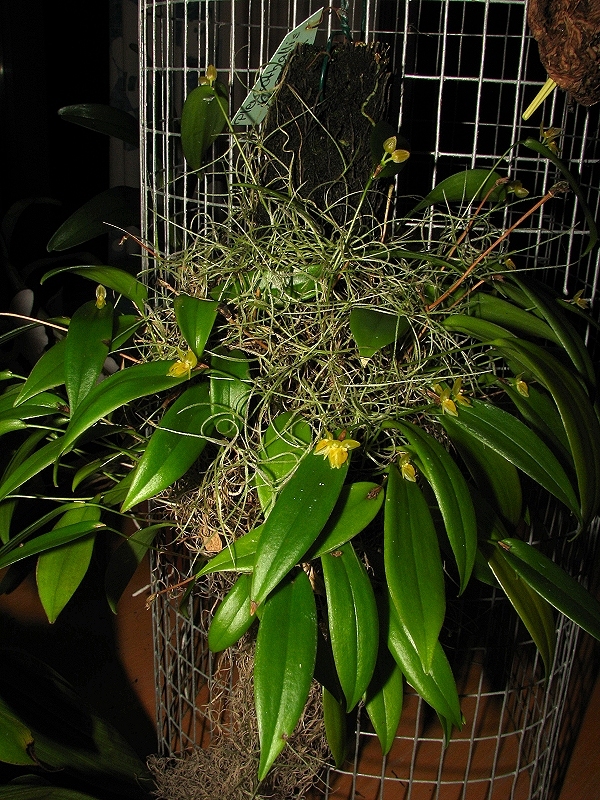 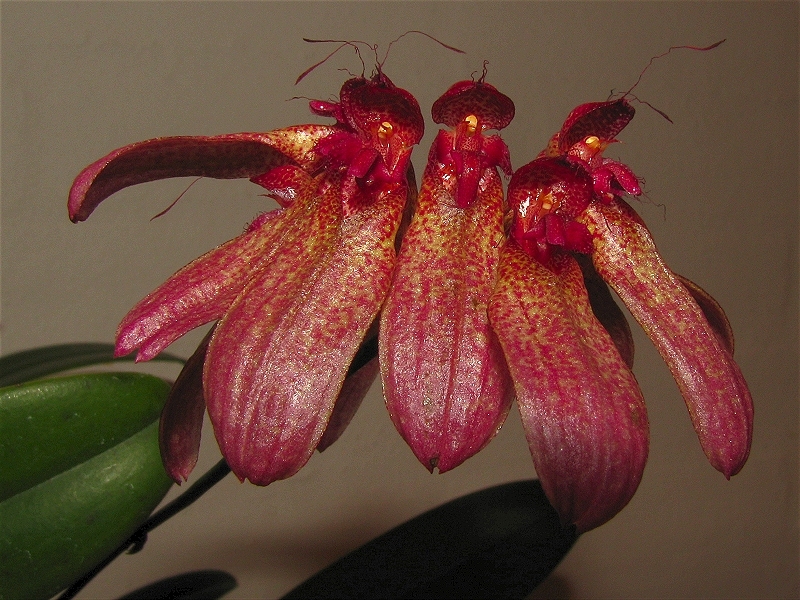 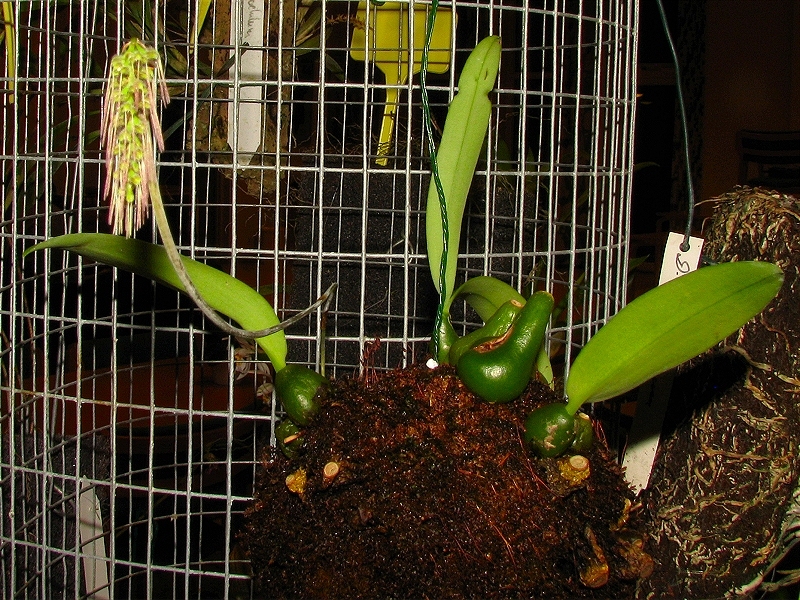 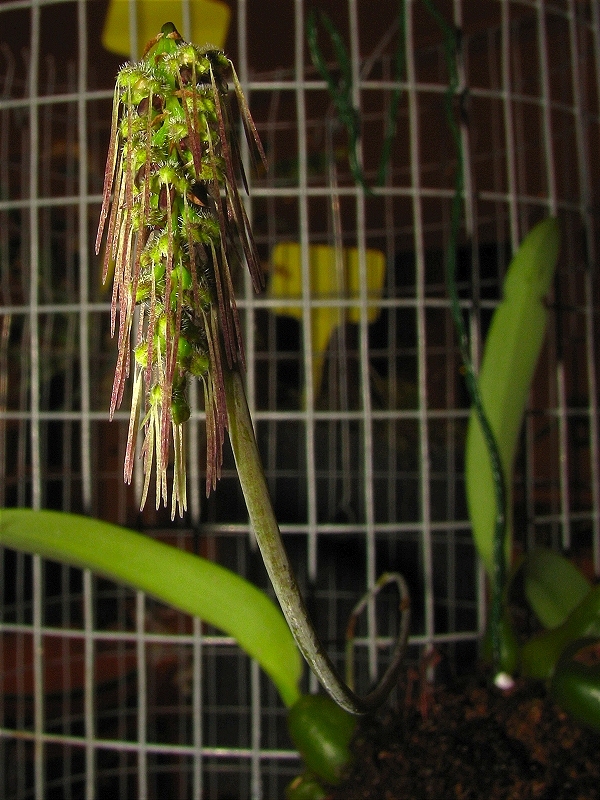 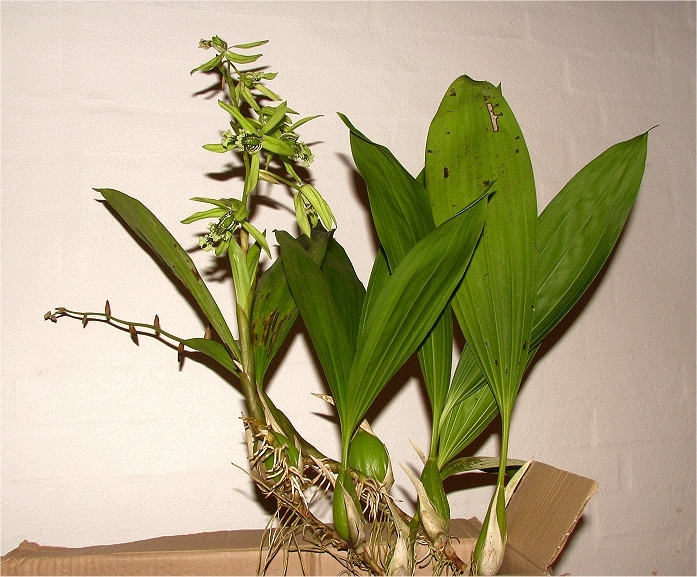 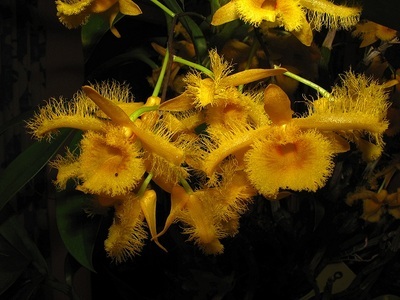 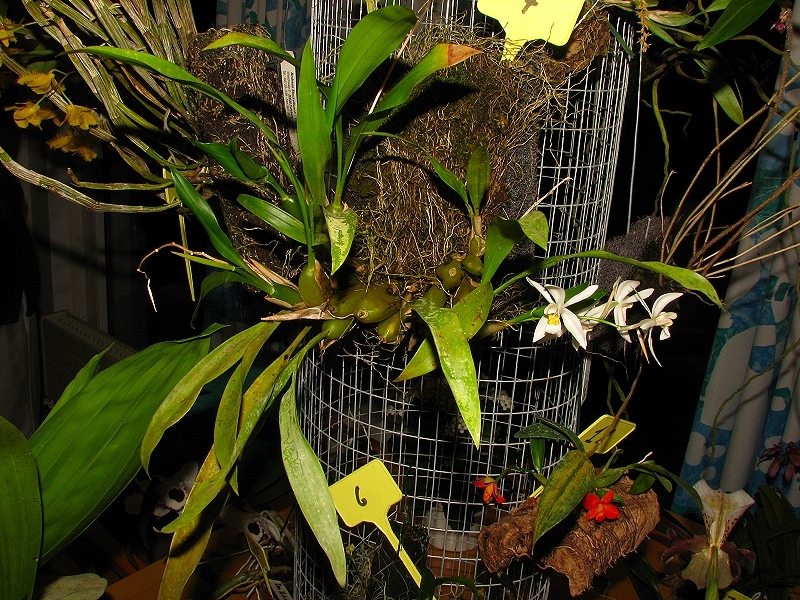 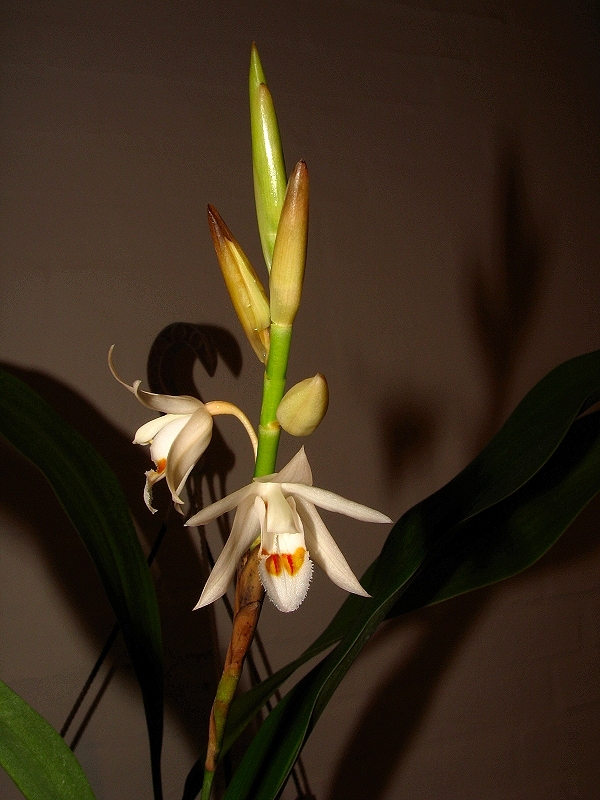 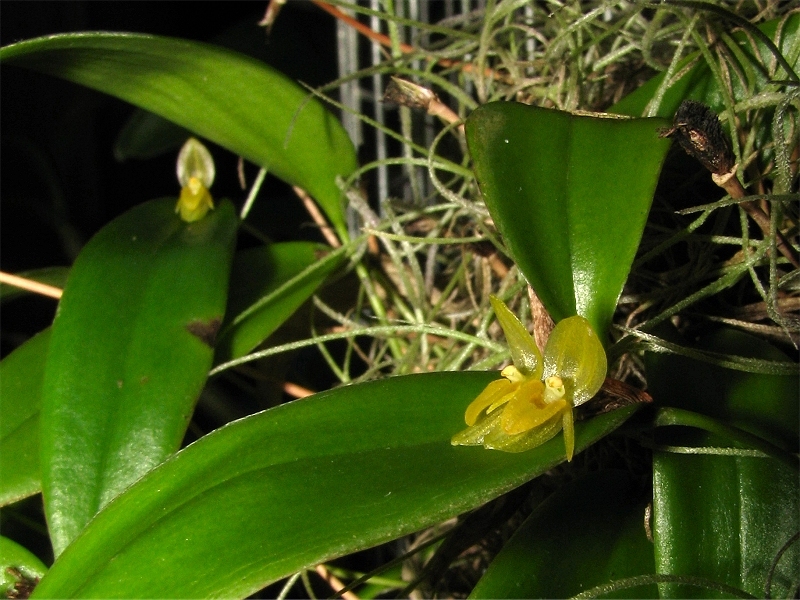 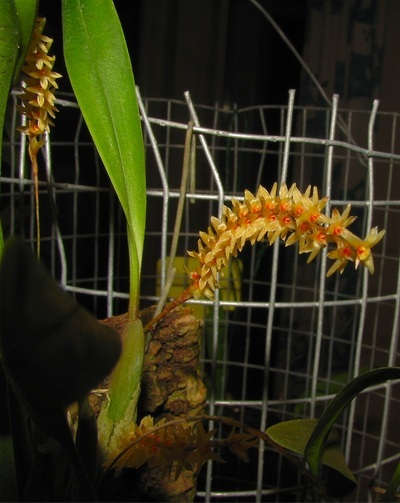 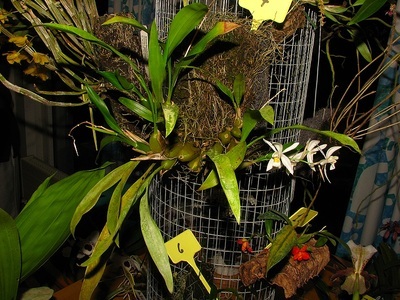 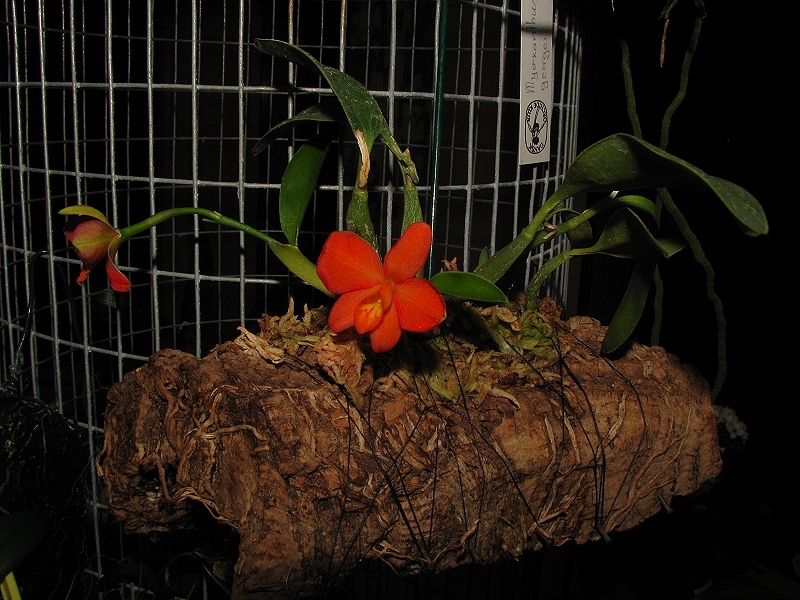 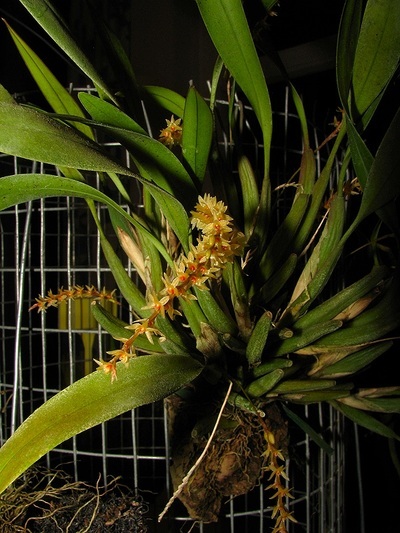 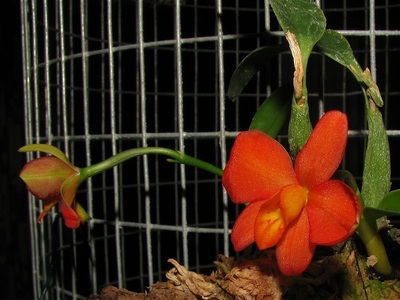 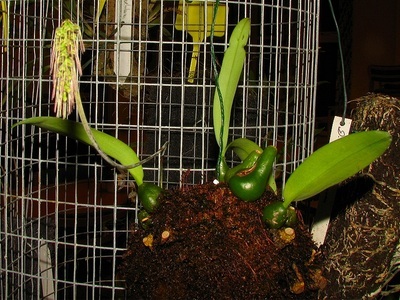 Bulbophyllum, formentligt longiflorum, John og Solveig. 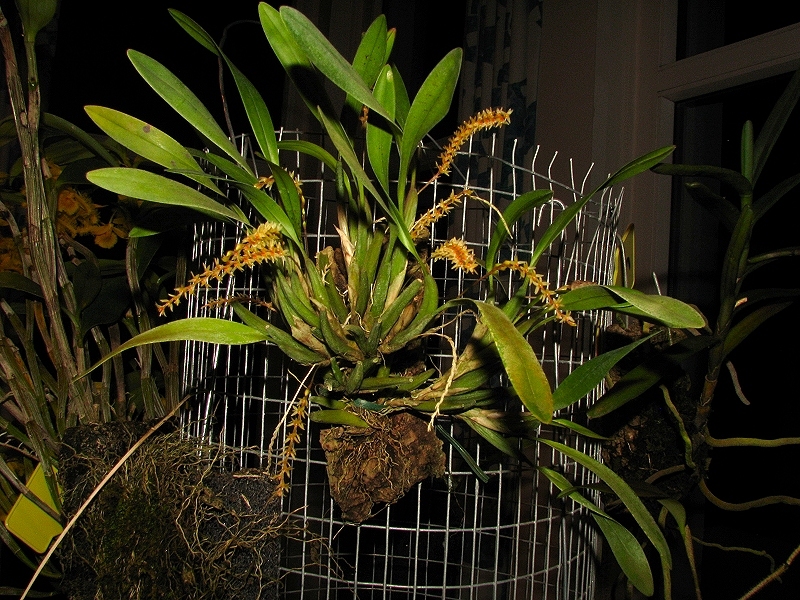 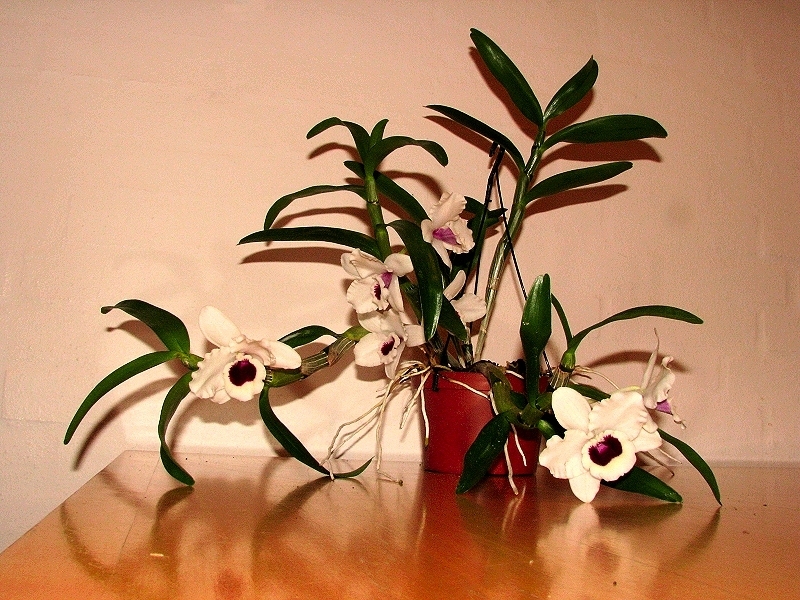 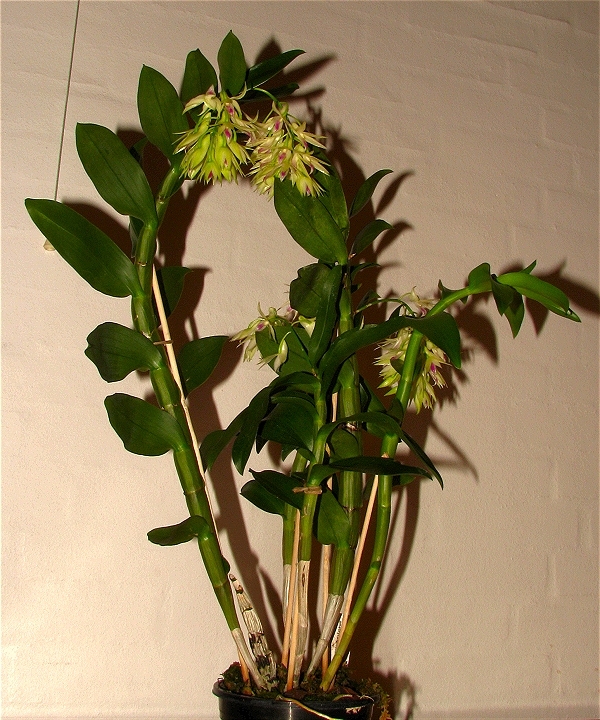 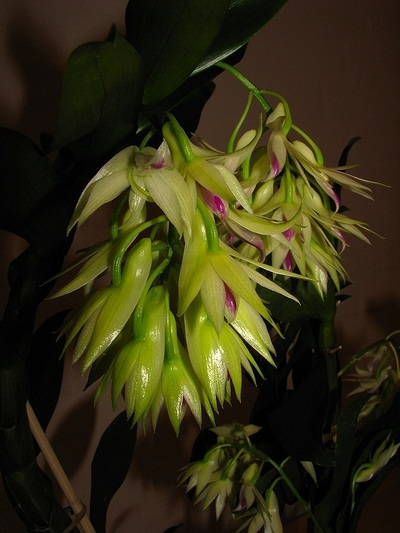 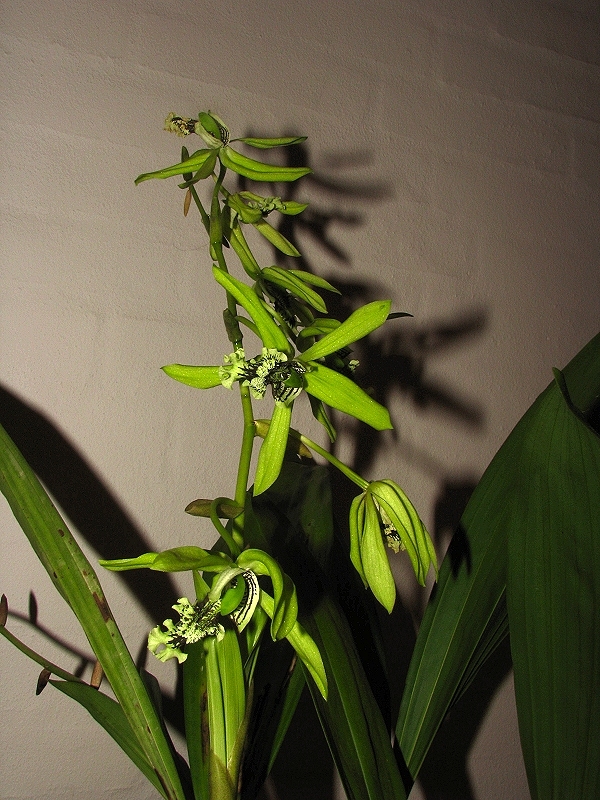 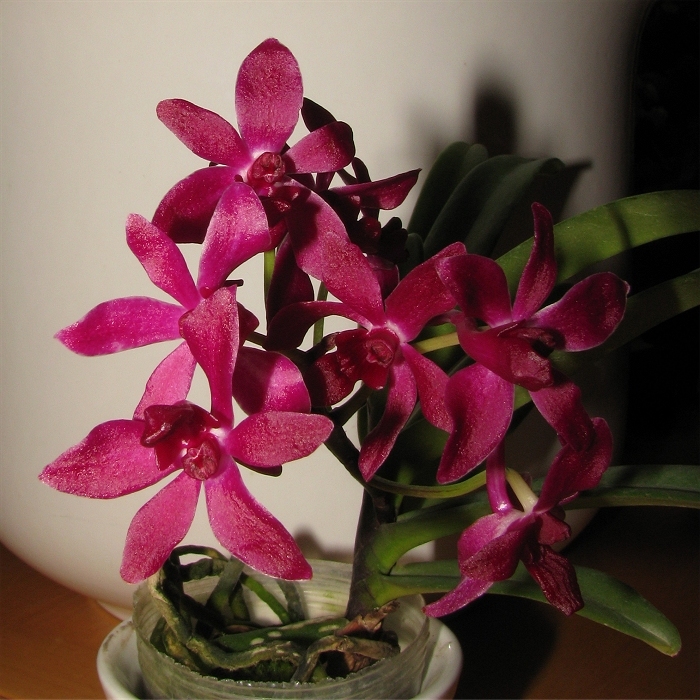 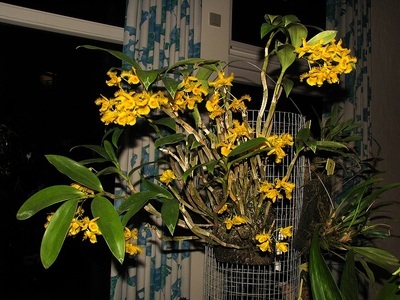 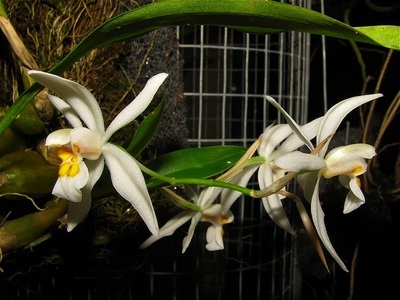 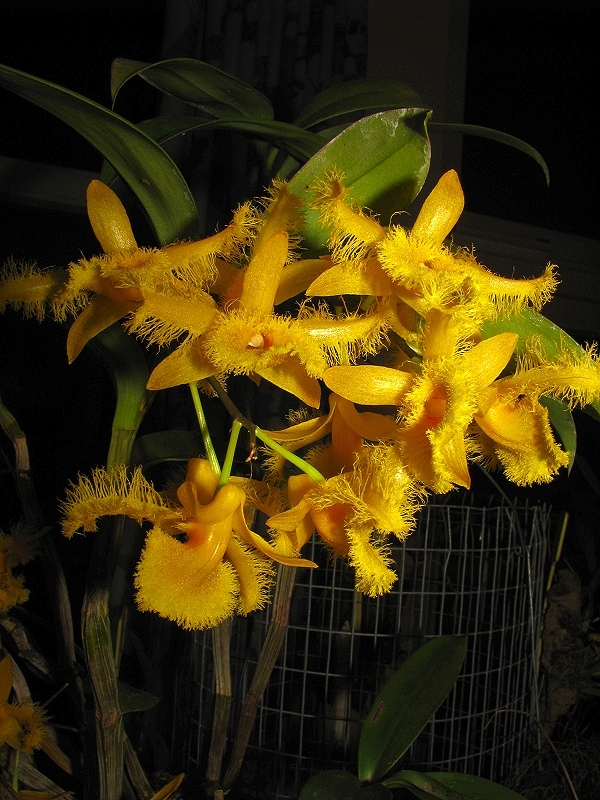 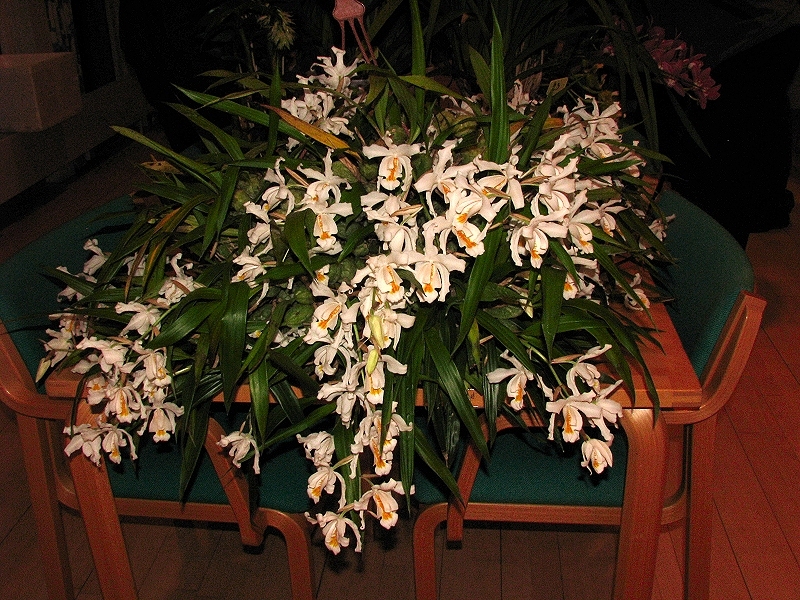 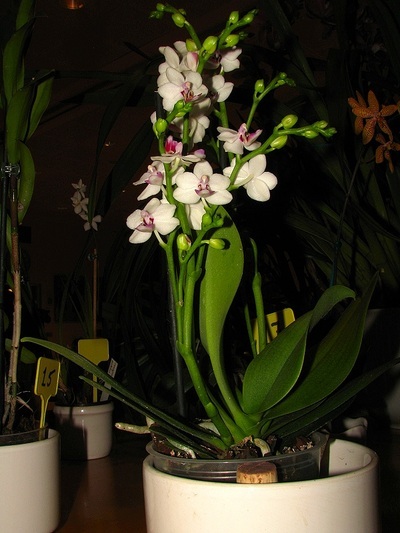 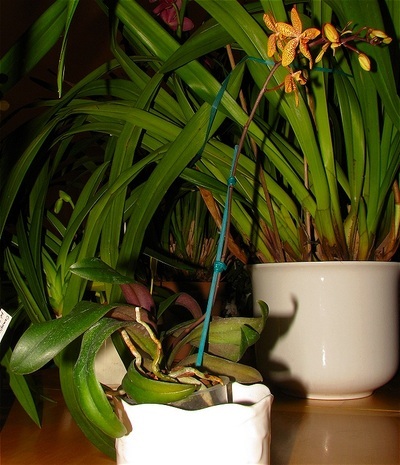 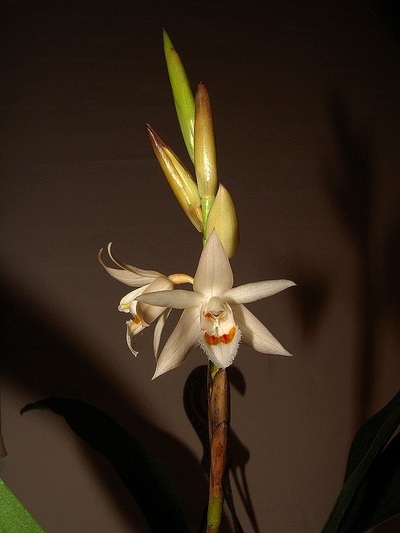 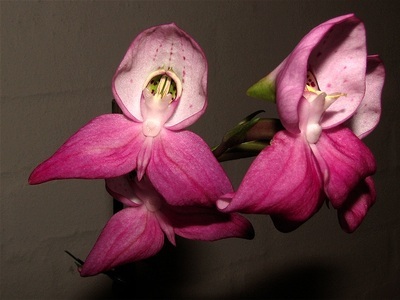 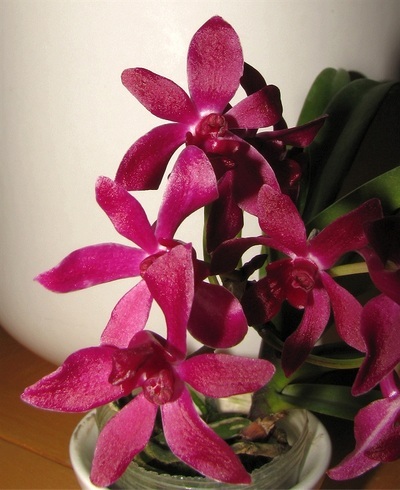 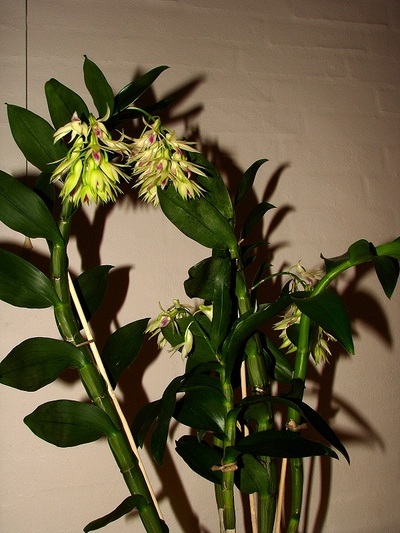 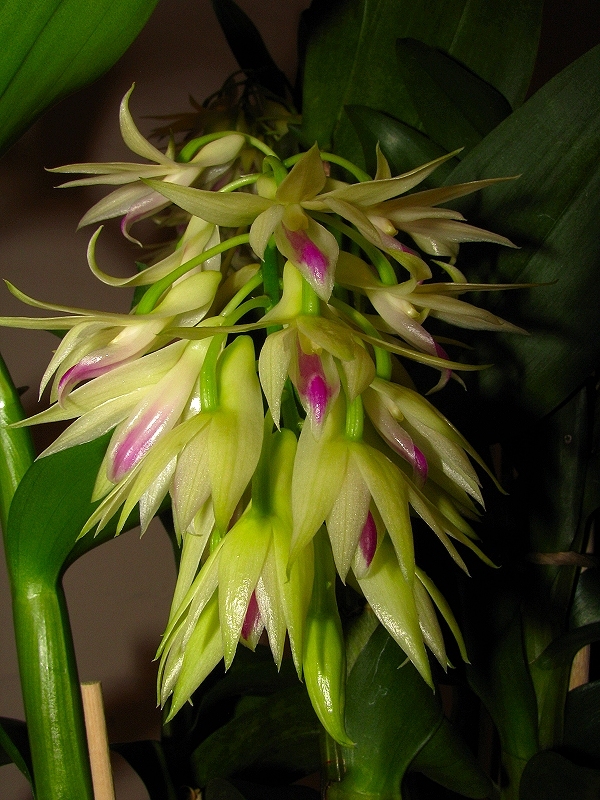 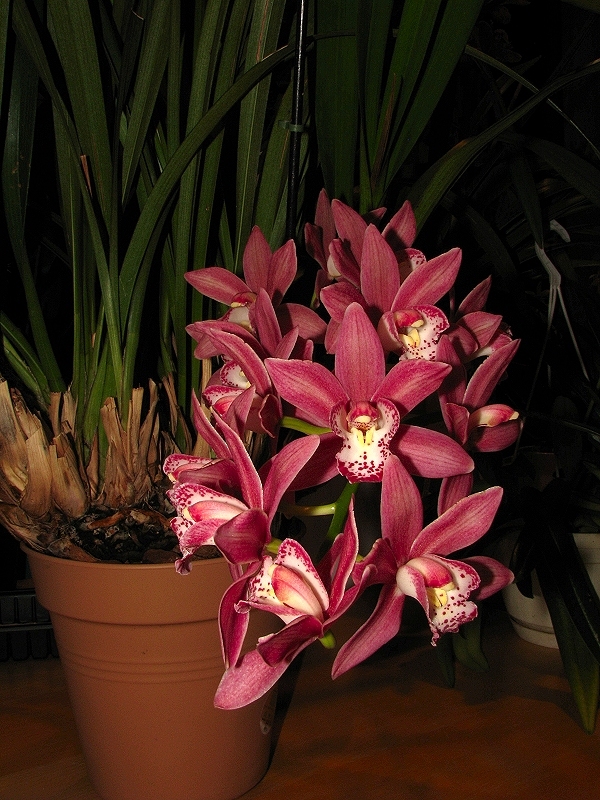 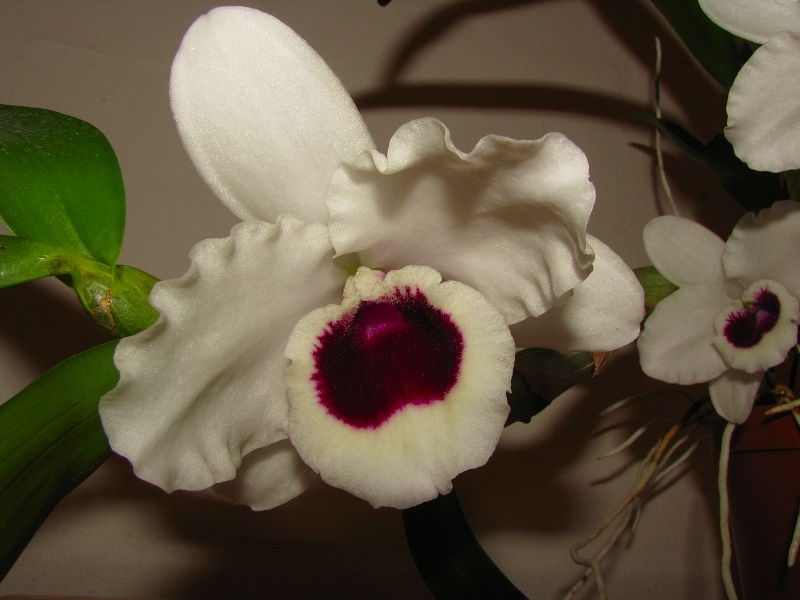 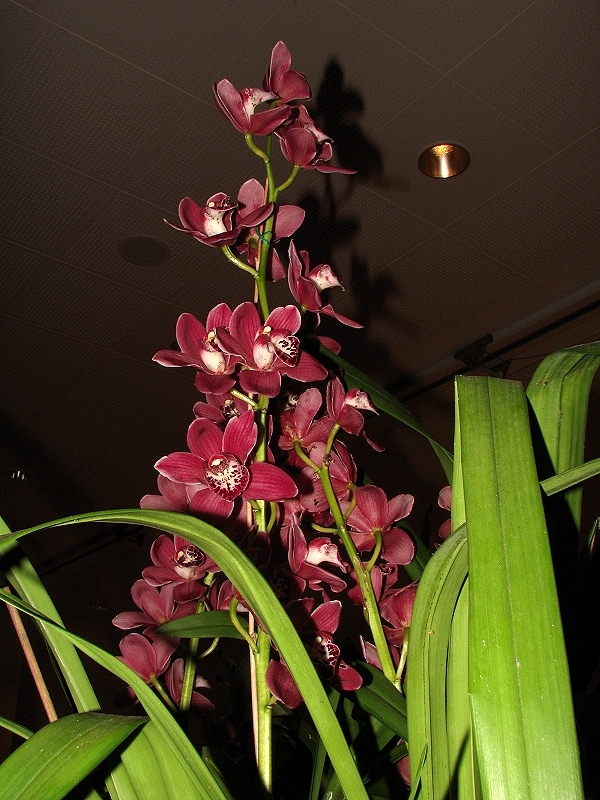 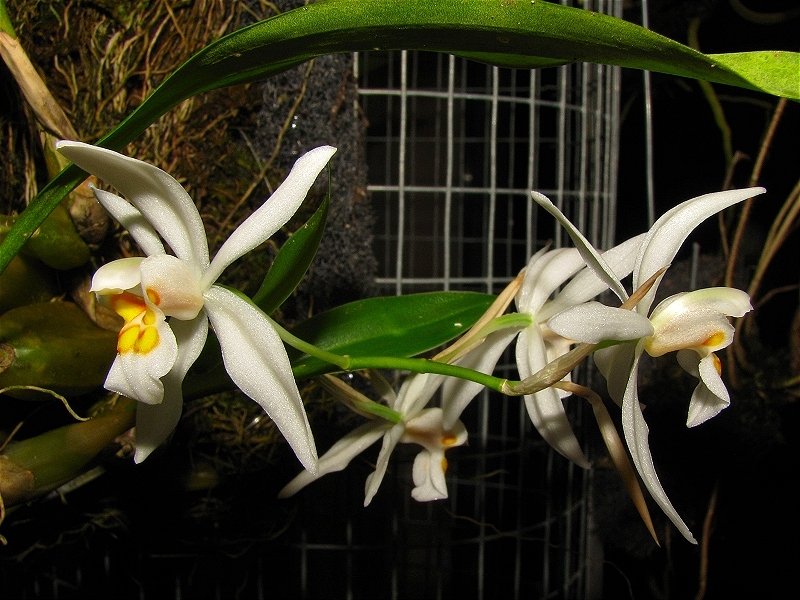 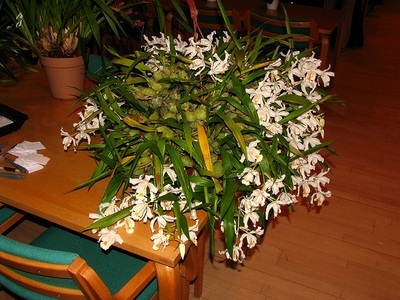 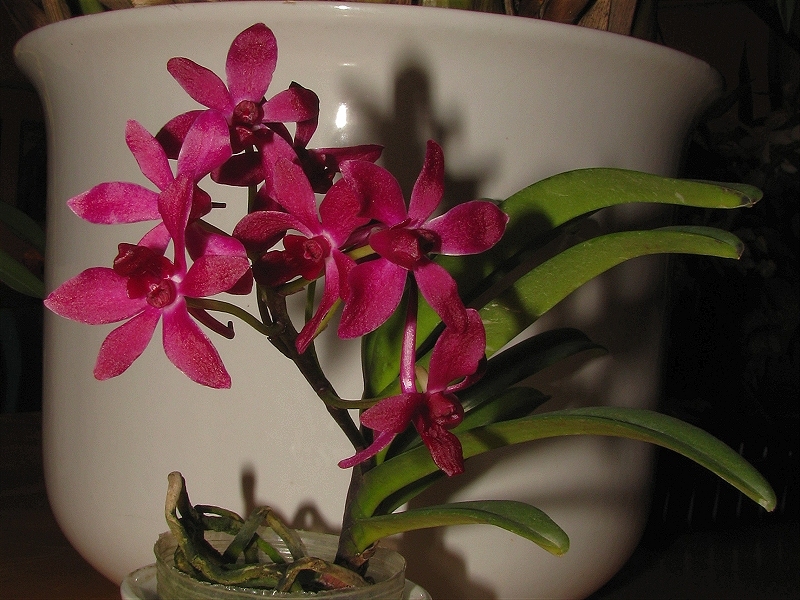 Dendrobium amethystoglossum, John og Solveig. 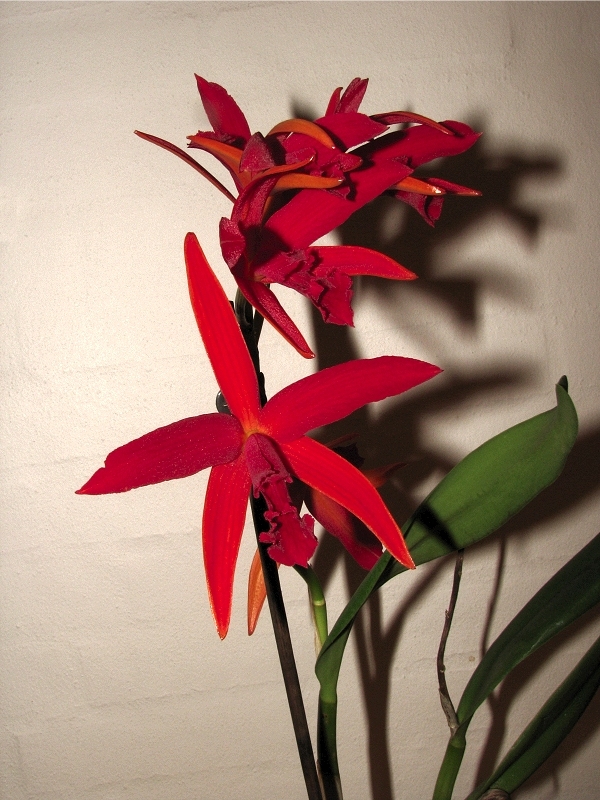 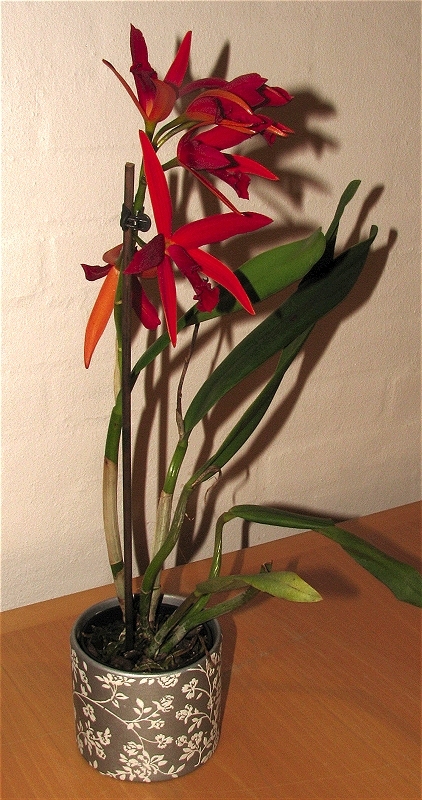 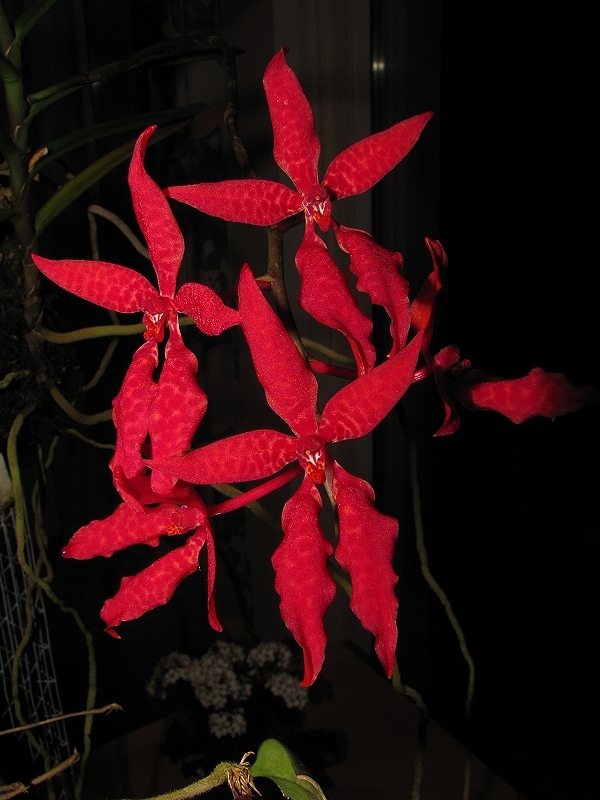 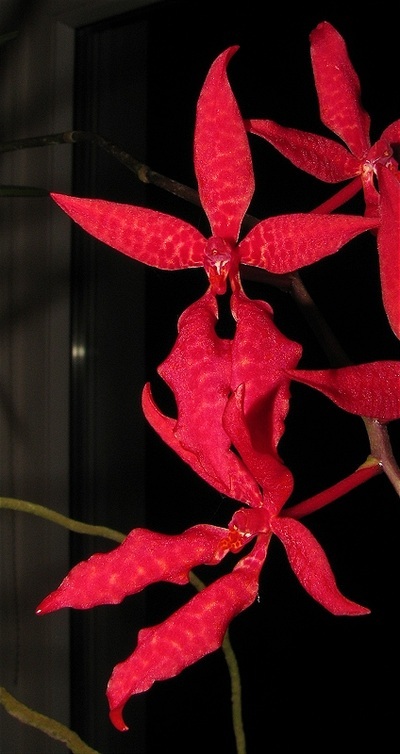 Epidendrum Rene Marques 'Flame Thrower', Birgit. Osmoglossum pulchellum, nu Cuitlauzina pulchella, Jørgen. 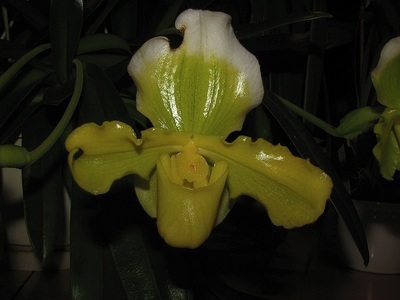 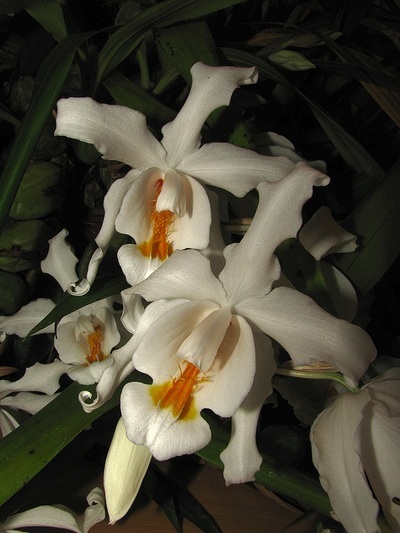 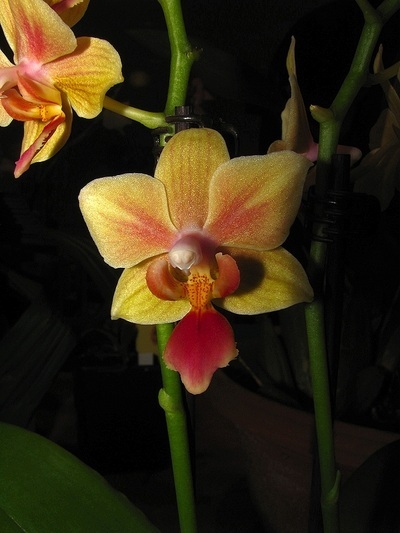 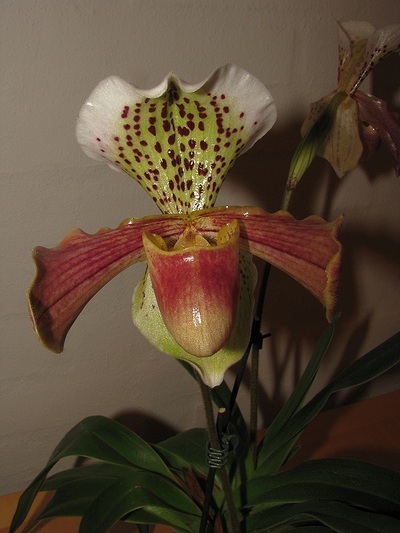 Paphiopedilum (chamberlainianum 'Fine' x Prince Edward Of York 'Kikki') John og Solveig. 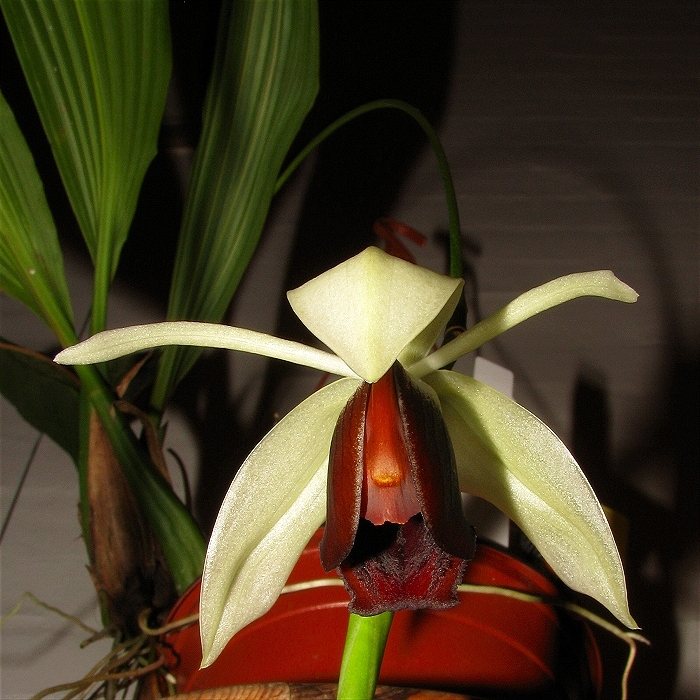 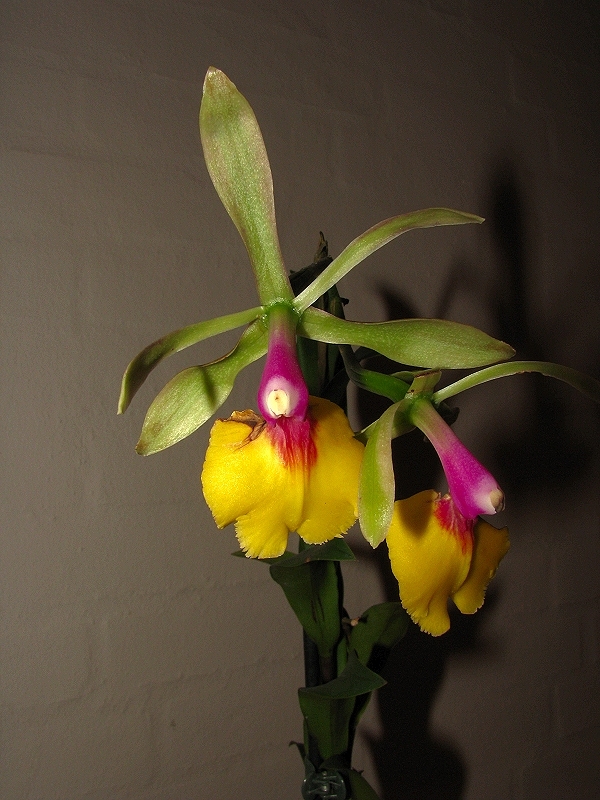 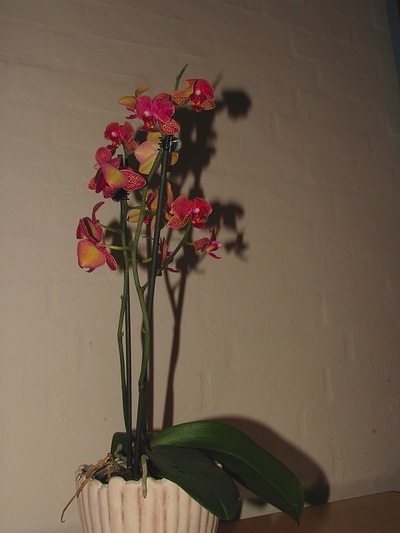 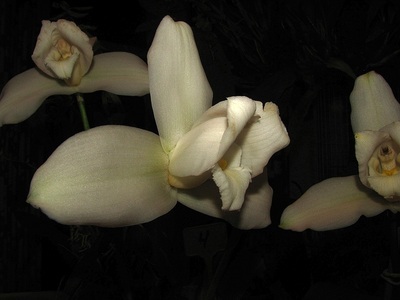 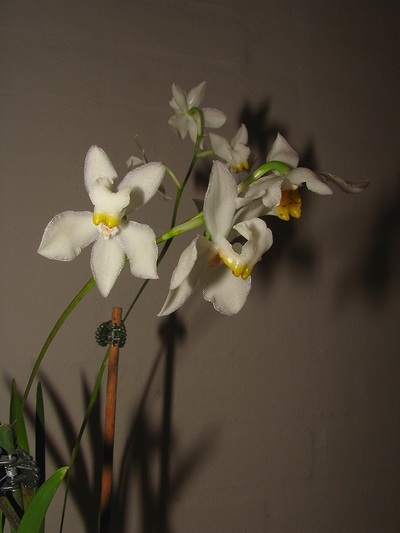 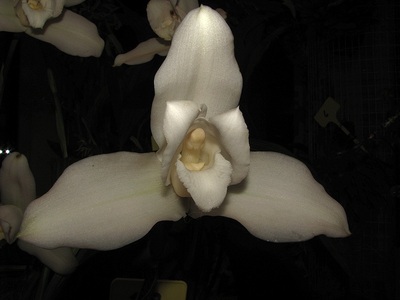 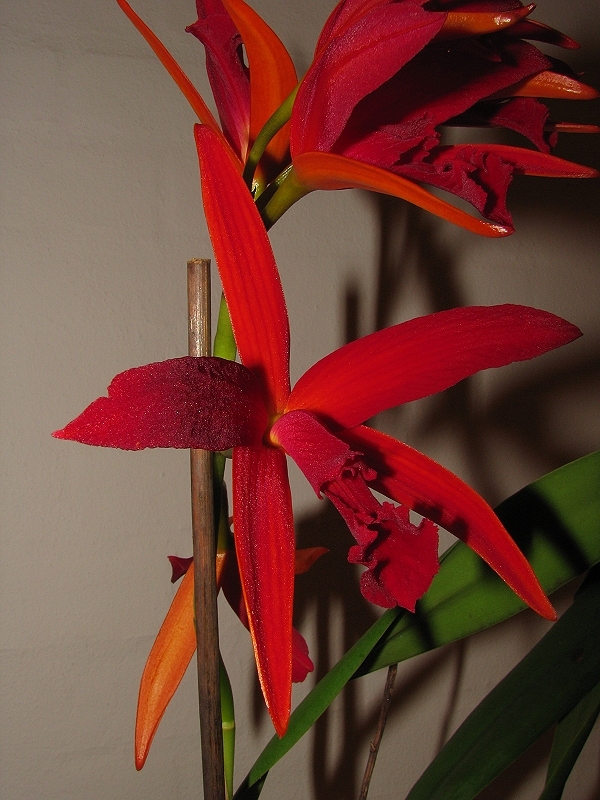 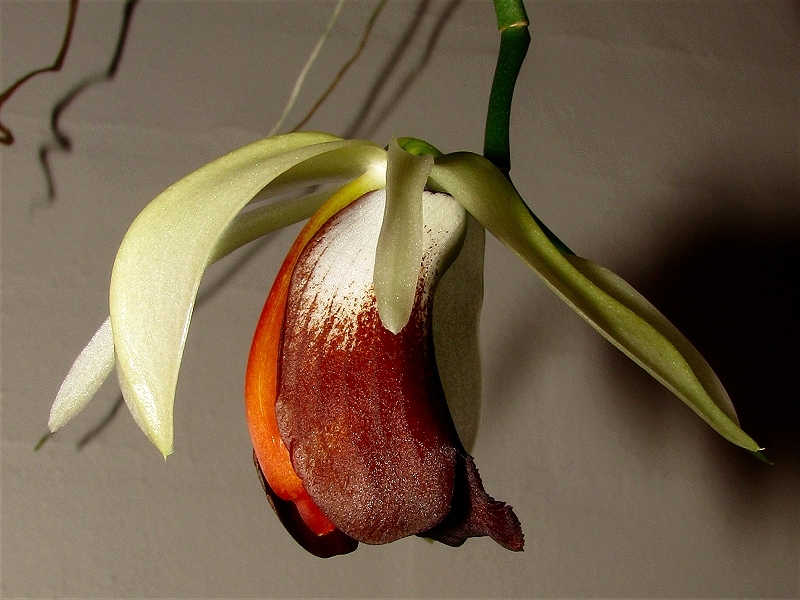 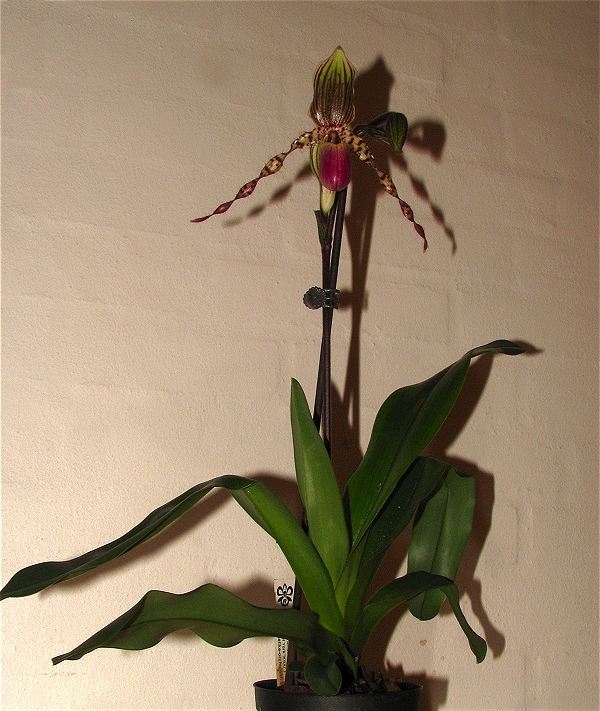 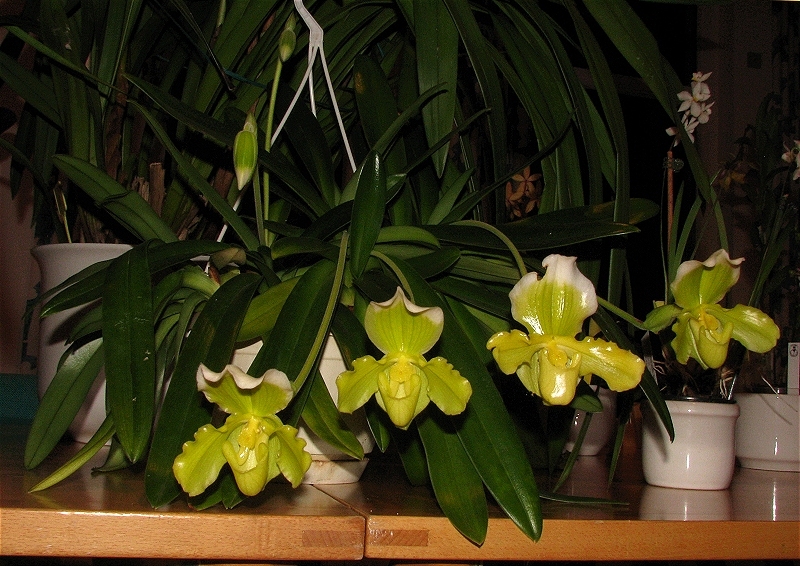 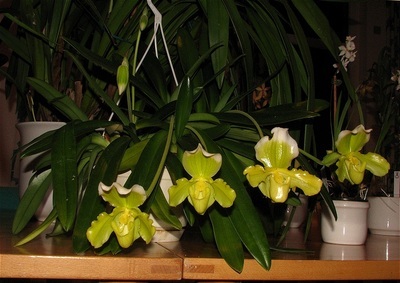 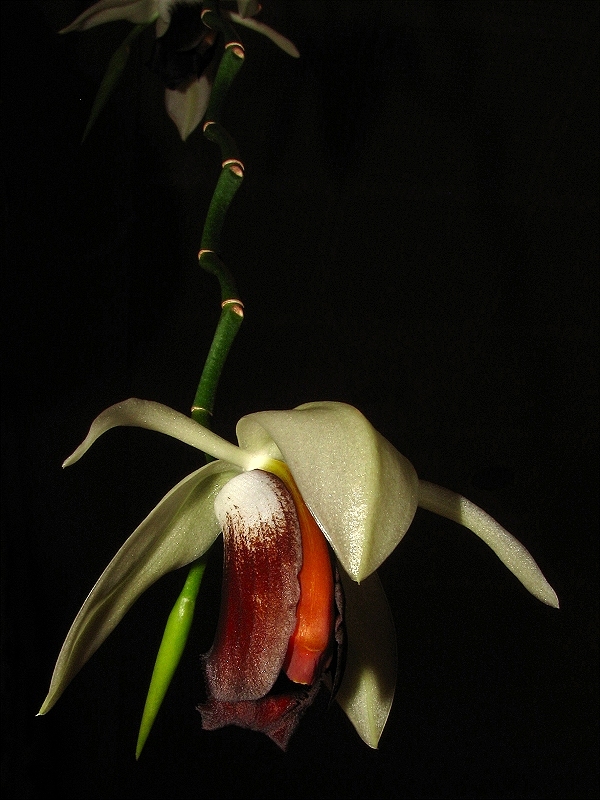 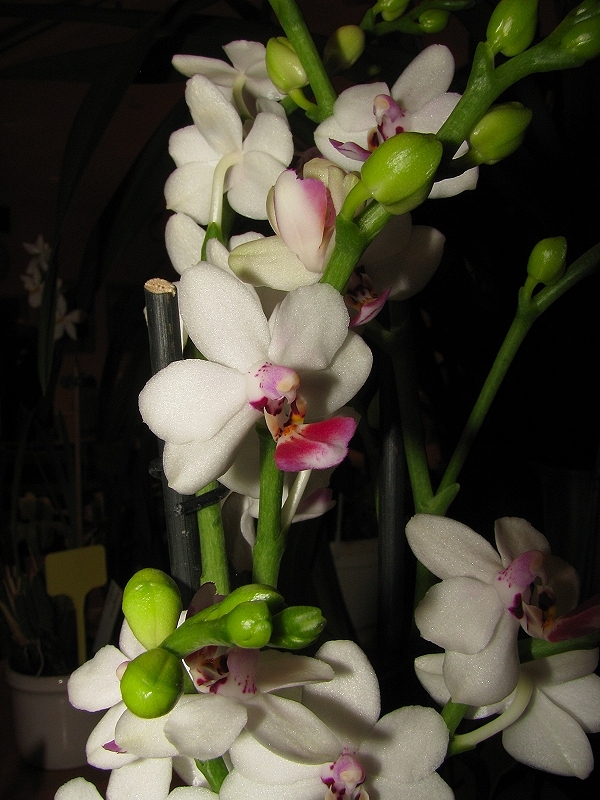 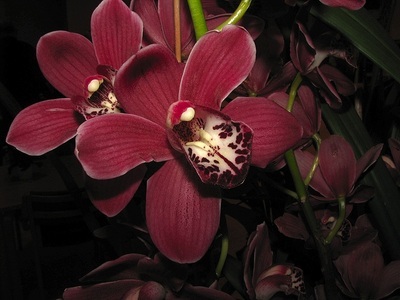 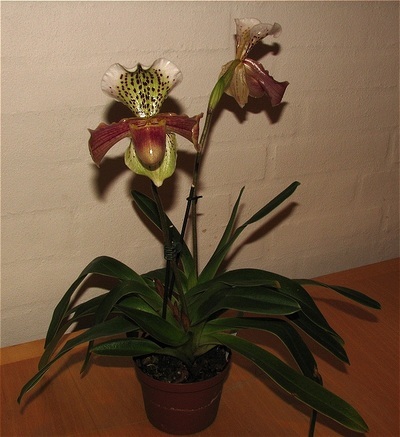 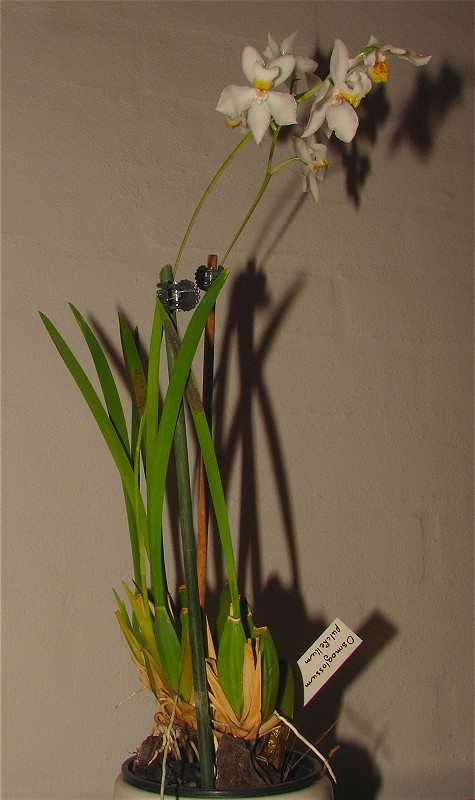 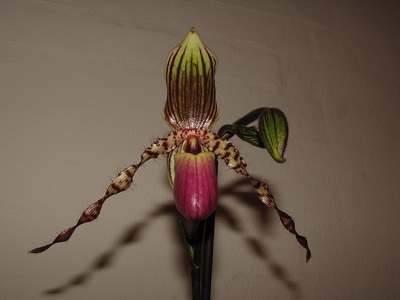 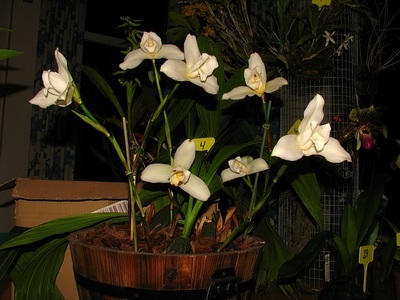 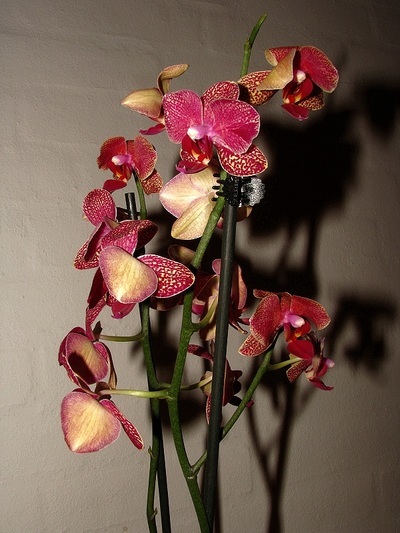 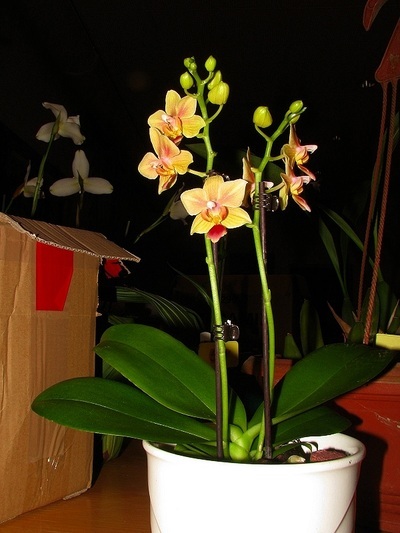 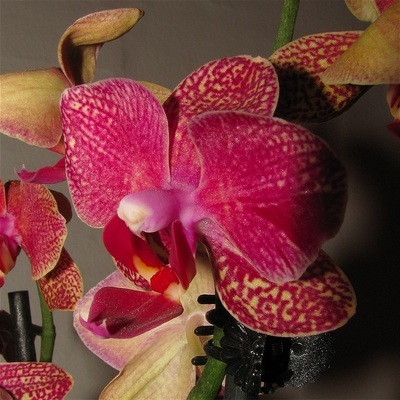 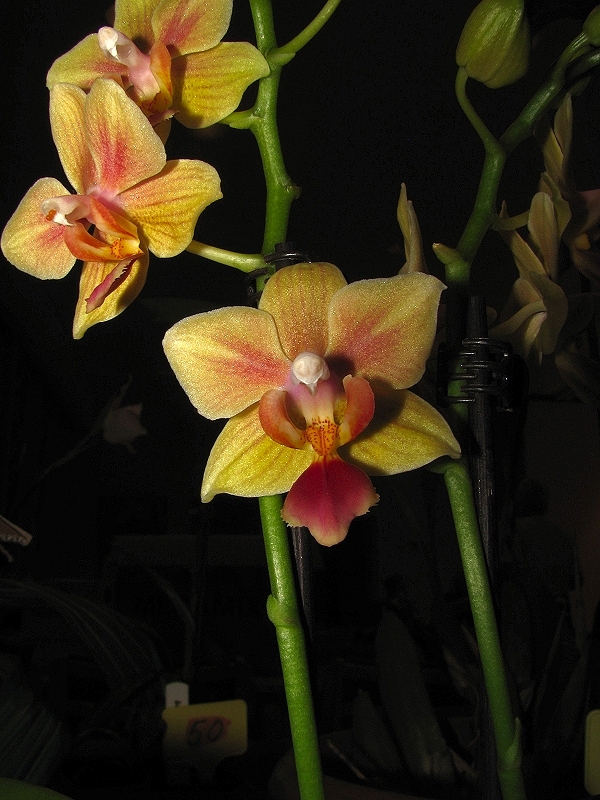 Paphiopedilum hybrid, John og Solveig. 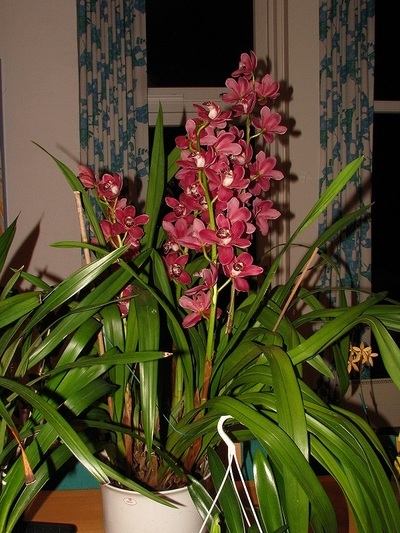 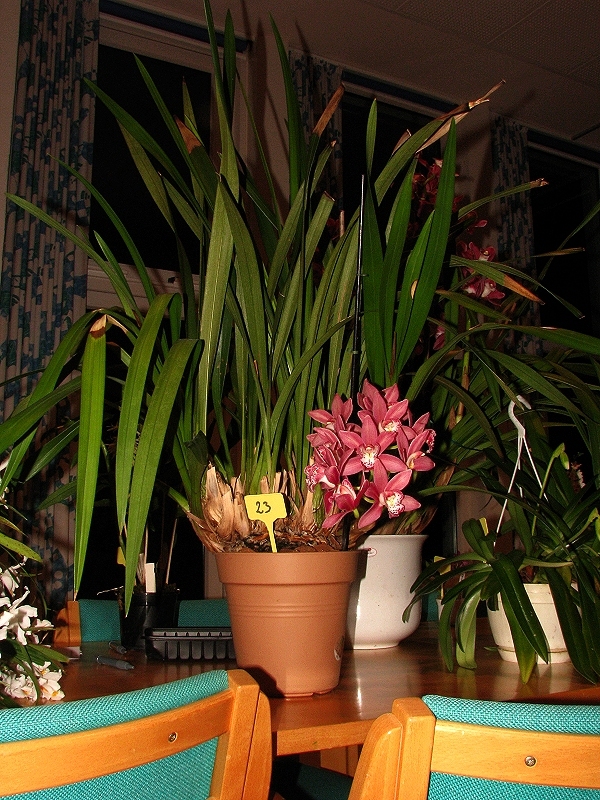 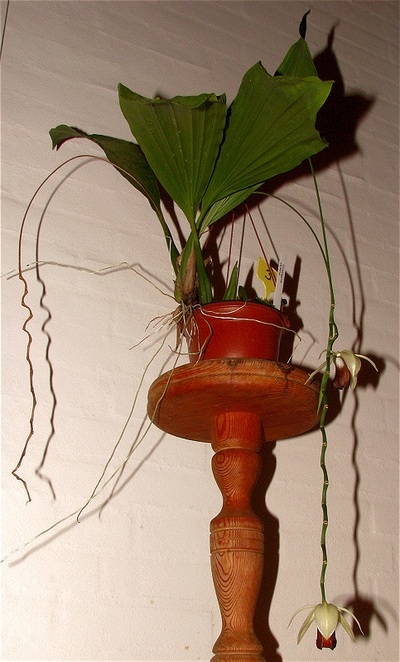 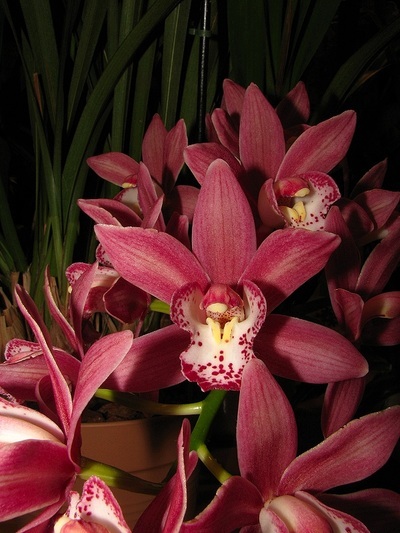 Stenorrhynchos lanceolatum, nu Sacoila lanceolata, Jan.
Vandachostylis Pinky (V falcata x Rhy gigantea 'Red'), Birgit.